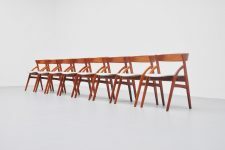 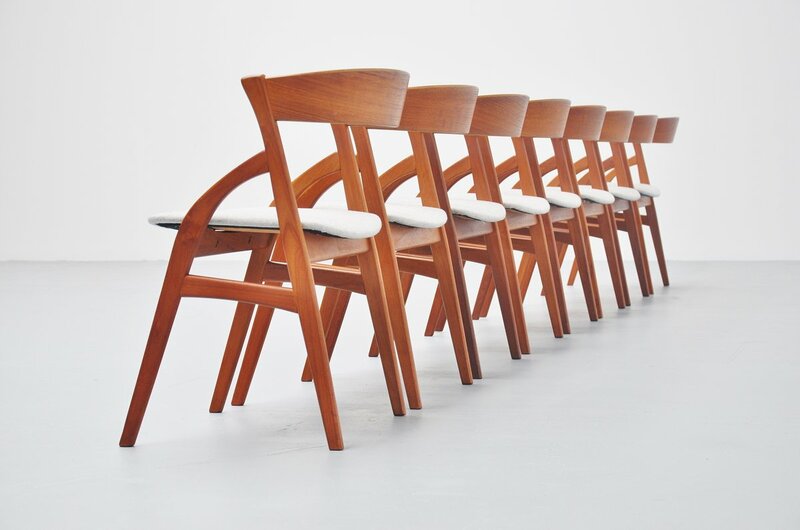 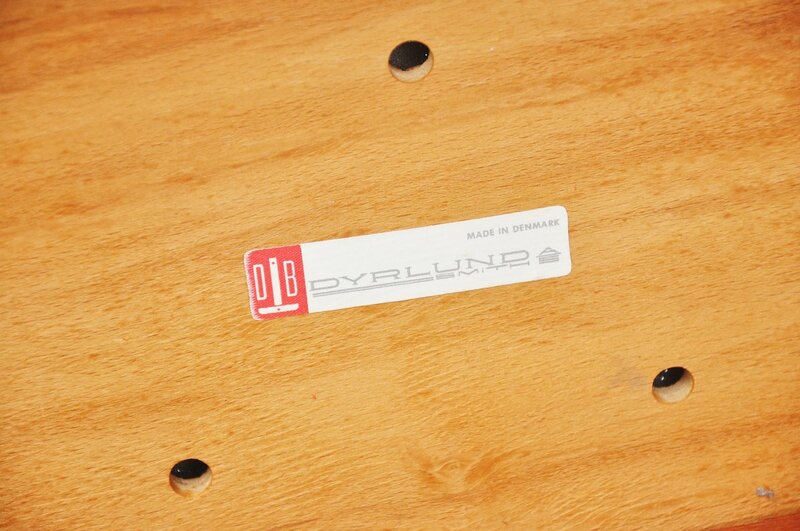 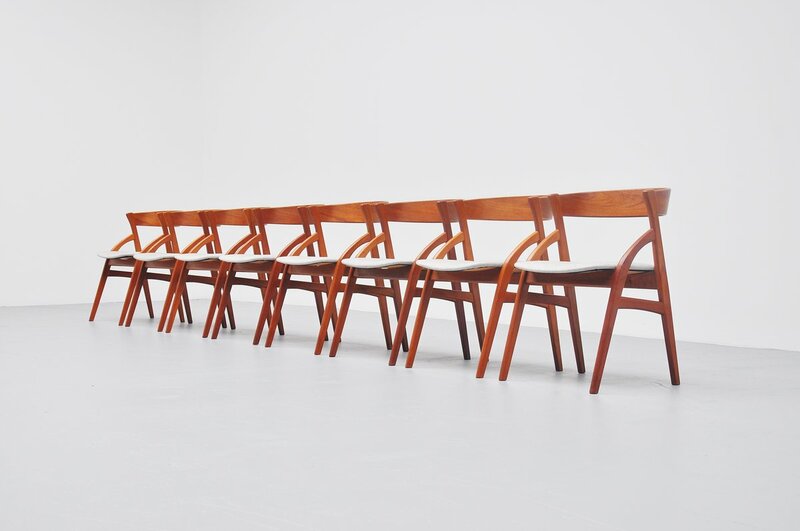 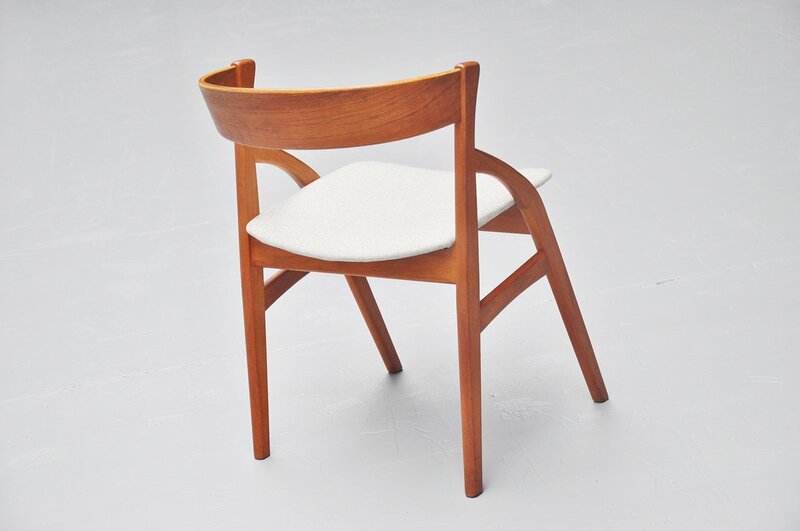 Very nice set of 8 dining chairs manufactured by Dyrlund, Denmark 1960. 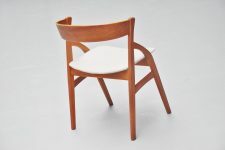 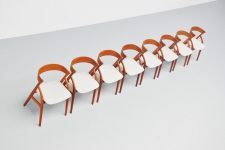 These chairs are made of solid teak wood and have a very nice bentwood back in teak as well. The chairs are newly upholstered in a semi wool / semi senthetic fabric in light grey. 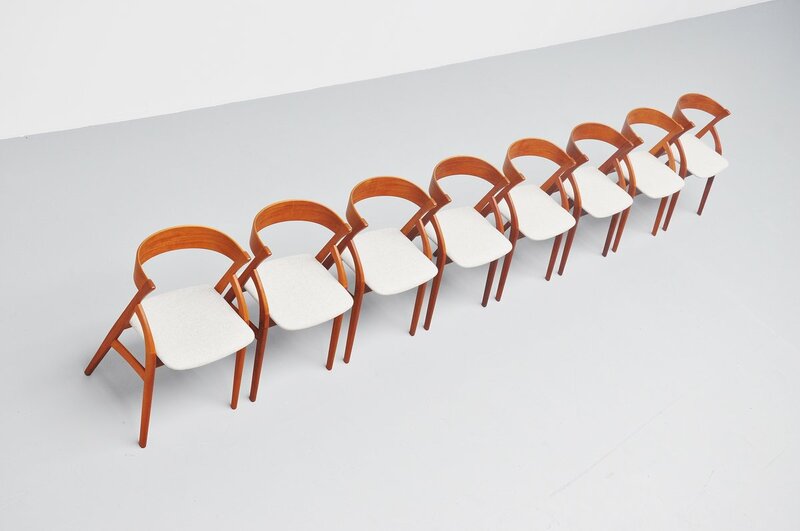 Match the chairs perfectly. 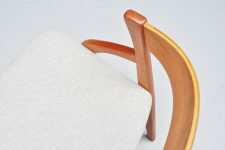 Other color upholstery available as well. The chairs are marked with sticker accordingly.